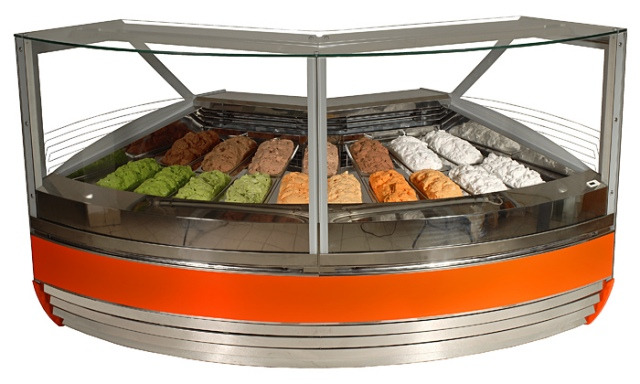 The ice cream counter for 19 flavours. Front and side panels from MDF. It is equipped with dynamic cooling, telescopic front glass, highlighted front, automatic defrosting, side glass and front glass with heaters, white lighting, silver finishes, night blind, wheels. Jars are optional.